I teach modules on sustainable ventures at the Smurfit Graduate Business School and the Quinn Business School (both University College Dublin). I am a former professor at Dublin City University and Maynooth University and founding Director of the Irish-medium centre Fiontar-DCU. I have been a visiting professor at a number of universities worldwide and am author/co-author of books on culture and innovation. My PhD degree in international finance is from the Stern School of Business, New York University (NYU). Múinim modúil ar fhiontair inbhuanaithe ag Scoil Ghnó Smurfit agus Scoil Ghnó Quinn, Coláiste na hOllscoile, Baile Átha Cliath. Is iar ollamh in Ollscoil Chathair Bhaile Átha Cliath agus Ollscoil Mhá Nuad mé agus stiúthóir bhunaigh ar an lárionad Gaeilge, Fiontar-DCU. Bhí mé mar ollamh ar cuairt ag roinnt ollscoileanna ar fud na cruinne agus is údar/comhúdar leabhair ar chultúr agus nuálaíocht mé. Tá céim PhD in airgeadas idirnáisiúnta agam ón Scoil Ghnó Stern, Ollscoil Nua-Eabhrac (NYU). Co-author of a book published by Greenleaf Publishing in December 2016 called Digging Deeper: How Purpose-Driven Enterprises Create Real Value. Gombeens at the Gates (2016) , The Irish Edge (2013) and Capitalising on Culture, Competing on Difference (2008). 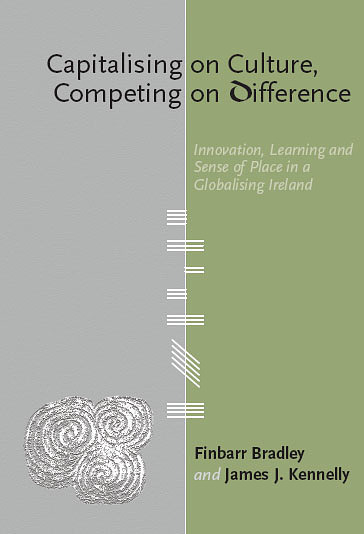 Author of a book on innovation in the Irish language: Meon Gaelach, Aigne Nuálaíoch (2011). 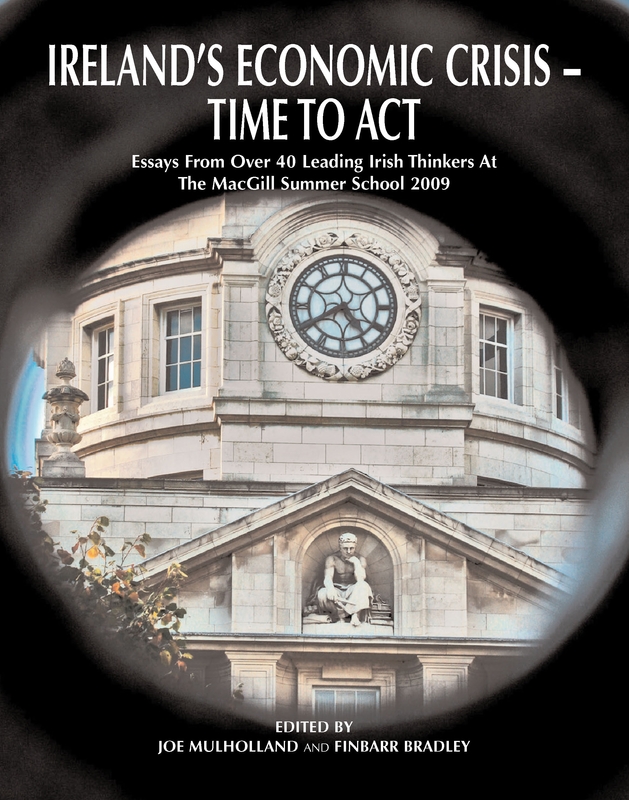 Edited with Joe Mulholland a book of essays, Ireland’s Economic Crisis – Time to Act, based on contributions to the 2009 MacGill Summer School. Spent my early career as an engineer with General Electric in the US, Korea and Ireland. Former professor of finance at Dublin City University (DCU) and the first Director of the MSc in Investment and Treasury degree there. In 1993, founded the path-breaking, Irish-medium undergraduate degree, Fiontar, unique in its multidisciplinary combination of finance, computing and enterprise, at Dublin City University (DCU). Though Fiontar has expanded greatly since then, it continues to attract enterprising young students to its wide range of undergraduate and postgraduate programmes. Now teach undergraduate module Green Venture Finance at the Quinn Business School and postgraduate module Green Business at the Smurfit Graduate Business School, University College Dublin (UCD). First chairman of Zamano, a hi-tech company founded by former Fiontar students, now listed on both the London and Dublin Stock Exchanges. Professor in the Economics Department at Maynooth University where I set up and ran a number of interdisciplinary undergraduate and postgraduate degrees. Former visiting professor at the University of Michigan, Fordham University, New York University (NYU), Helsinki School of Economics [now Aalto University], and Toulouse Business School. I hold an Electrical Engineering degree from University College Cork, an MBA from Syracuse University, New York and a PhD in international finance from the Stern School of Business, New York University (NYU). My (unpublished) PhD Dissertation was entitled, An Analysis of Eurodollar Bonds and Their Embedded Option Provisions: Valuation, Strategic and Risk Characteristics, (New York University, May 1989). Bronnadh, An Teastais sa Ghaeilge Ghairmiúil, Coláiste na hÉireann/Gaelchultúr, Baile Átha Cliath, 7 Bealtaine 2015. Member, Panel, Request for Tenders for Feasibility Study for the future development of Galway Airport site, Galway, 14 August 2014. Ball, Bord Agallamh, Riarthóir Acadúil, Coláiste na hÉireann/Gaelchultúr, Baile Átha Cliath, 2 Nollaig 2013. Cathaoirleach an Bhoird Rialachais, Coláiste na hÉireann/Gaelchultúr, Baile Átha Cliath, 2013-2016. Member, Interview Board, Promotion to Lectureship (below to above bar), Dublin City University, 18 June 2013. Judge, 2013 Start-up Awards (http://startupawards.ie), May/June 2013. Member, Focus Group – ‘Innocrafts’, EU programmme funded under Interreg IVC, Partner in Ireland, Design and Crafts Council of Ireland (DCCOI), June 2012. Ball, Bord Agallamh, Oifigeach Feidhmiúcháin, An Rannóg Pobal & Gnó, Foras na Gaeilge, Baile Átha Cliath, 27 Meitheamh 2012. Judge, 2012 Start-up Awards (http://startupawards.ie), March 2012. Ball, Bord Agallamh, Ardoifigeach Feidhmiúcháin, An Rannóg Pobal & Gnó, Foras na Gaeilge, Baile Átha Cliath, 16 Meitheamh 2010. Board of Governors, St. Patrick’s College, Thurles, Co. Tipperary, 2010-2013. Buaiteoir Gradam (‘ceannródaí gnó na bliana’), Barr-50 Gnó le Gaeilge, Grúpa Mhéan Bhéal Feirste, Teach Mansion, Baile Átha Cliath, 14 Bealtaine 2010. Adjudicator, Gnó as Gaeilge Award, All-Ireland Marketing Awards, Marketing Institute of Ireland, Leopardstown, Dublin 18, 21 April 2010. Launched book Stró an Ghnó le Mairtín Ó Mulleoir [Coiscéim, BÁC], Cultúrlann MacAdam Ó Fiaich, Belfast, 12 December 2009. Member, Interview Board, Head of Department/Lectureships – Business Studies, St. Patrick’s College, Thurles, Co. Tipperary, 4-5 August 2009. Ball, Bord Agallamh, Oifigeach Feidhmiúcháin, An Rannóg Pobal & Gnó, Foras na Gaeilge, Baile Átha Cliath, 12 Bealtaine 2009. Mentor, Creative & Cultural Skills Northern Ireland Leadership Programme, Arts Council Northern Ireland, Belfast, April 2009-April 2010. Participant, Consultative Forum, HEA/IRCHSS Foresight in the Arts, Humanities and Social Sciences, 23 January 2009, Dublin. Member, Adjudication Panel, Irish Language Advertising Awards 1996-2006. Member, Interview Board, Lectureship in Finance, National College of Ireland, Dublin, 2005-2006. Member, Interview Board, Lectureship in Finance, Smurfit Graduate Business School, Dublin, 2006. Board Member, FBH, a hedge fund listed on the Irish Stock Exchange, 2004-2005. Member, Faculty Review Panel, Promotions from Lecturer to Senior Lecturer, Smurfit Graduate Business School, Dublin, 2004. Member, Combined Heat & Power (CHP) Policy Group set up by Department of Communications, Marine & Natural Resources and Sustainable Energy Authority of Ireland (SEAI), 2004-2006. Co-Chair, European Conference of the US Financial Management Association (FMA), Dublin, 4-6 June 2003. Member, Adjudication Panel (Chairman, 2003 Panel) set up by Council of Directors of Institutes of Technology to determine grant support under the Enterprise Platform Programme and funded by the National Development Plan 2000-2006, 2000 & 2003. Convenor/Assessor, HEA Business Sub-Panel to analyse applications for Government of Ireland Scholarships Awarded by Interim Council for the Humanities and Social Sciences, 1998. Member, Government Commission set up to examine the role of Irish Voluntary Language Organisations. Produced Report Treo 2000, Government Publications, Dublin, 1997. Grant (Research Networks Scheme), Royal Irish Academy & British Council, 1992. Listed in Who’s Who in Ireland/The Influential 1000 (2nd ed. 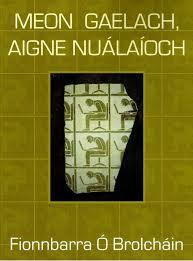 ), Hibernian Publishing, Dublin, 1991. Outstanding Doctoral Student Teaching Award, NYU, 1988. Editorial Assistant, Journal of Finance, NYU, 1985-1986. Awarded 1975 Washington D.C. Friendly Sons of St. Patrick Scholarship for doctoral study in USA, 1975. Editor, Aire, the University College Cork (UCC) Student Newspaper, 1974. Awarded College Entrance and Kelliher Scolarships on entry to University College Cork (UCC), 1971.